Braking the Cycle is a community based program that partners volunteer mentors with learner drivers. 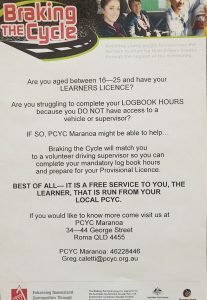 hours required to achieve their licence. restricted in employment opportunities and can quickly become trapped in a cycle of disadvantage. further opportunities in the workplace, training, and education environments. behaviour thereby reducing crime and traffic incidents. 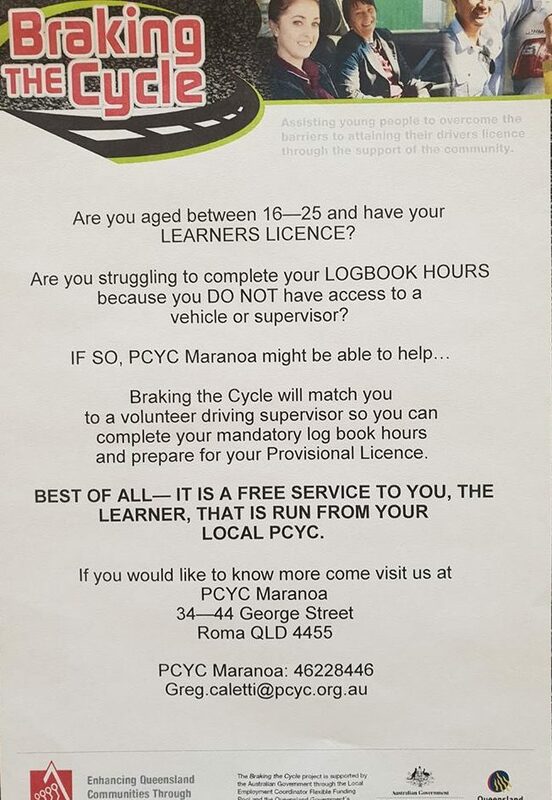 Volunteers are mentors from the community who have held an ‘open’ drivers licence for at least 12 months and are willing to undertake a days training to fulfil the role of a supervising driver. per week. The time commitment is prearranged around the mentor’s availability. Mentors develop and maintain a purposeful, empowering, and supportive relationship with the learner which will have a lasting impact on their life. The program offers an opportunity to volunteer in a way that has tangible outcomes for young people and the community. Mentoring provides opportunities to meet new people, develop new skills and add variety to the mentors life. log book hour requirement. Typically learners will not have access to a vehicle or supervising driver. schools, or can refer themselves. 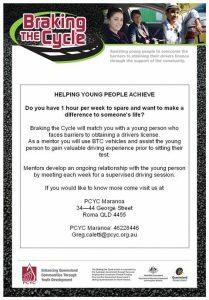 PCYC membership is a requirement of the program. 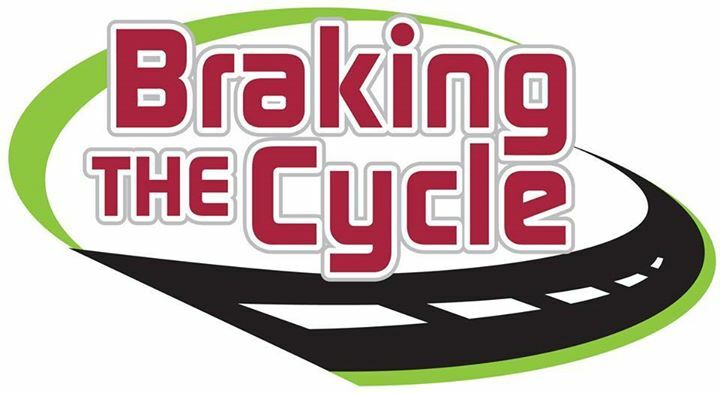 The success and sustainability of Braking the Cycle relies on community and corporate donations. The program needs sponsorship, community support, and in-kind donations of goods and services to meet day to day operational costs.